As the new session of primary and secondary school is billed to commence in a couple of days, schools in Kwara State might remain shut indefinitely owing to backlog of unpaid salaries, staff welfare and other related matters. This much was disclosed by teachers under the aegis of concerned teachers who have threatened to down tools if their demands are not met. Speaking with this medium at the sidelines of a protest staged in ilorin over the weekend, the leader of the group, Com. 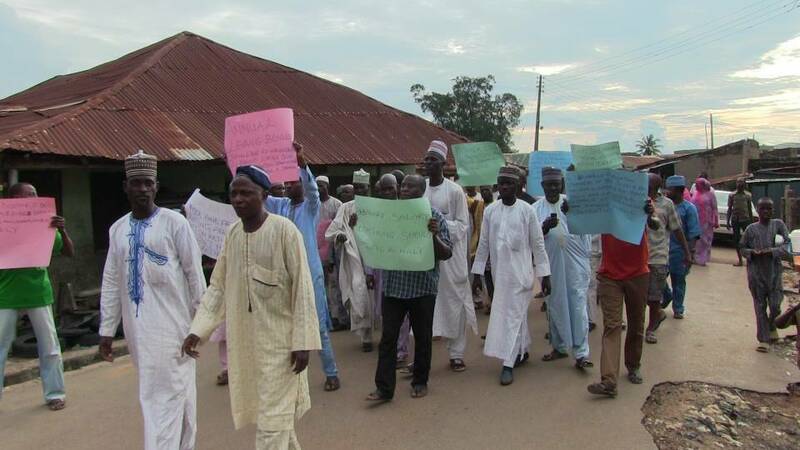 Garba Sharafdeen who claims to have members across the 16 local government areas of the State. Sharafdeen who bemoaned the nonpayment of salary backlog by the State government also decry the glaring disparity of teacher's take home between those under TESCOM and SUBEB. He said "Most of our entitlements, benefits and allowances have not been forthcoming, we've received promotion on paper without commensurate effect on our take home, most of us are being owed a minimum of 5 months salary.
" We implore the government to have the fear of God and pay up our entitlements, we all have families who are dependent on us, most of us have lost dignity and self worth as heads of the family, we can't continue to suffer and die in silence. "We won't resume the next session until our matter is favourably resolved, it is inhumane for a government we all contributed towards bringing onboard to be subjecting us to this kind of maltreatment. Speaking in the same vein, Com. 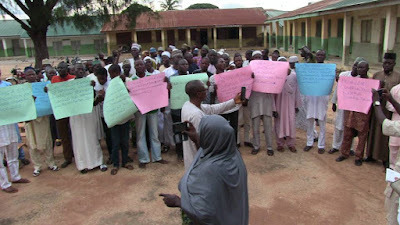 Murtala Abass carpeted the sabotaging role of the State NUT officials, stressing that they've joined the oppressors in the inhumane exploitation of education and teachers in the State. He said "The National Union of Teachers (NUT) that ought to fight for us have been largely compromised and bought over, we no longer have confidence on them.